Kalettes | This RD Eats! We are about to go crazy for Kalettes! No, that is not a made-up word – Kalettes are a delicious new vegetable that are a blend of Brussels sprouts and the beloved kale. They are made through the process of traditional hybridization and are one of the hottest trends in vegetables right now. Kalettes are functional, simple to prepare and look fantastic. You can expect to overload your taste buds with a nutritious vegetable that tastes sweet and nutty all at the same time. Kalettes are also great because they will appeal to everyone, whether you are a vegan, vegetarian or you just want a new veggie to add to your diet! There is no waste either – the entire Kalette from the leaves to the stem can be used in cooking. How do you know which Kalettes to pick? Their brilliant purple stems and green leaves will indicate a healthy plant. Avoid leaves that have started yellowing or turned brown. 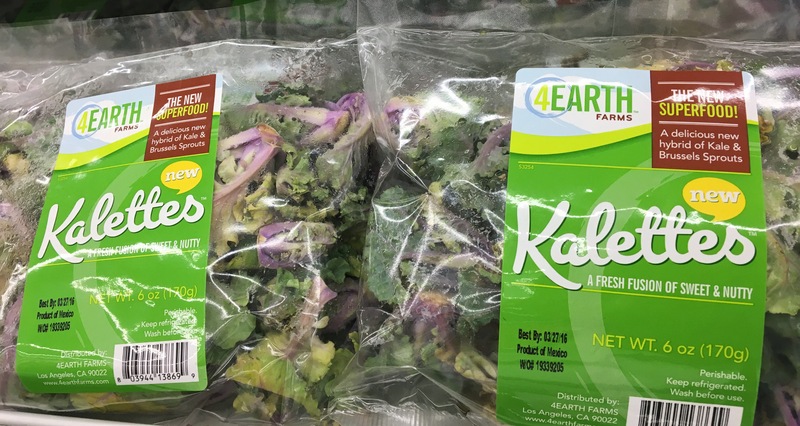 You will find Kalettes in the refrigerated produce section, typically near the other bagged salads. Store Kalettes in the refrigerator until they are ready to be enjoyed. Not only are Kalettes a tasty addition to the everyday diet – they are nutritious, too. They are low-calorie, low-sodium, fat-free and contain a little bit of protein. One serving (one and a half cups) provides 40 percent of your daily vitamin C needs, 120 percent of your vitamin K needs, and 10 percent of your daily vitamin B6 needs. Sauté. Place Kalettes in a covered pan for about 5 to 7 minutes and cook until tender. Roast. 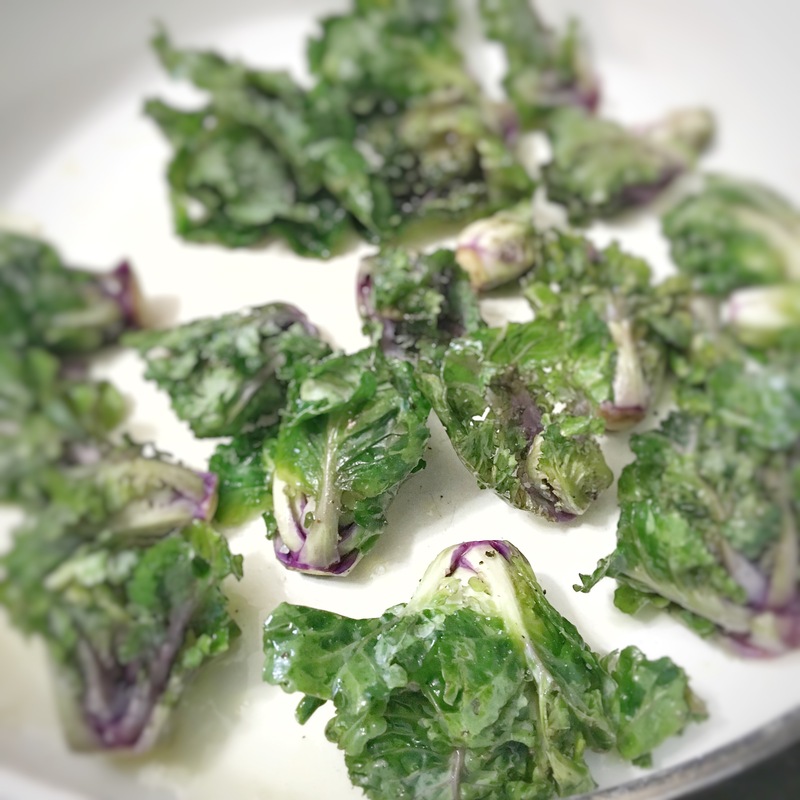 Coat Kalettes with olive oil and place on a baking sheet; bake at 475 degrees for about 10 minutes. Grill. 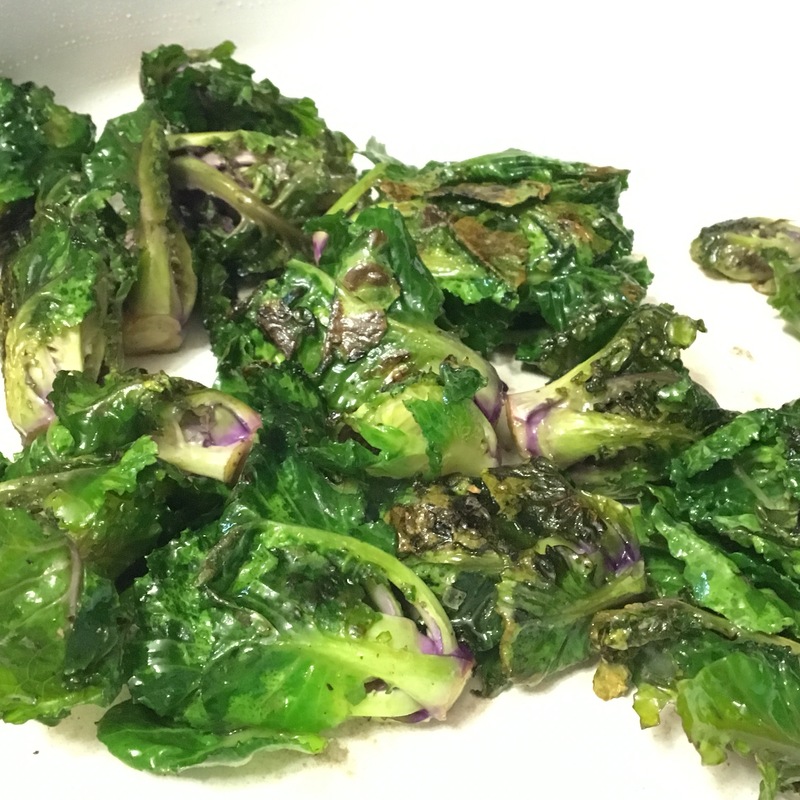 Put Kalettes in tin foil or a basket and grill for about 10 minutes (or until charred) on medium heat. Eat raw. Talk about spicing up your salad! Chop up and add to romaine lettuce or eat Kalettes themselves covered in your choice of salad dressing. Add to recipes for new flavor. Add Kalettes to any recipe where you would add other veggies (i.e. : onions or bell peppers). This entry was posted in Recipes and tagged brussels sprouts, kale, kalette, kalettes, sprouts, vegetables. Bookmark the permalink.